Clean the squid. Separate the head and tentacles. Remove the innards and the transparent filament attached in to the head. Slice the squid in to bite sizes. Wash thoroughly under running water. Heat the cooking oil in a medium-sized saucepan. Sauté the garlic and onion until translucent and very fragrant. Add the squid and lightly stir fry just until the color turns pale. Add vinegar and water, and bring to a simmer. Add soy sauce, oyster sauce (optional) and red Thai chili. Cook for about 5 minutes or until the squid is cooked through. Season with salt and pepper. 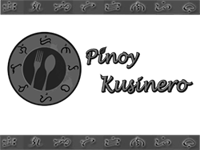 Transfer the squid adobo in a serving dish and serve with hot steamed rice. Enjoy! Watch out not to overcook the squid as it easily turn dry and gummy. If you want a thicker broth, separate the squid from the liquid. Allow the sauce to simmer until it is reduced and then return the squid.